Wiring 3PDT switches by hand is a rather time consuming approach. A better solution to speed things up is to use PCBs that are especially designed for this task. 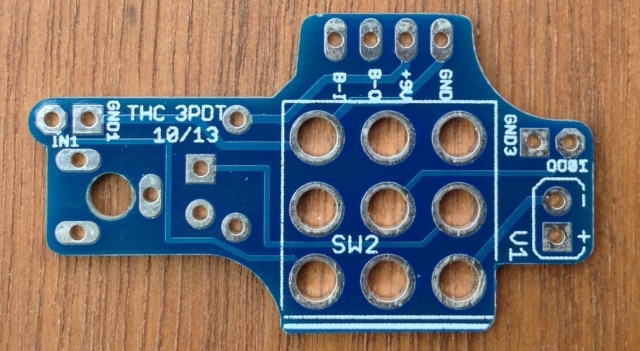 This relatively simple PCB makes wiring your pedal effortless and error free. All the connections are pre-wired and the mounting pads for your internal wiring are in the right places. It is available here! There are other PCBs that will fit a 1590A enclosure. 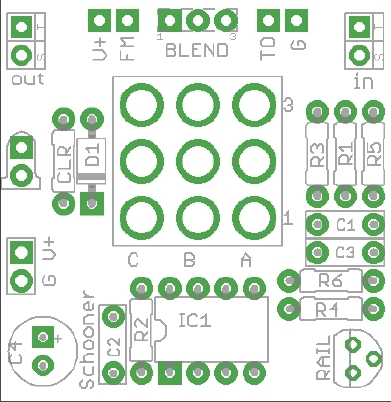 But as you already have a PCB here it would be fun to add a small effect circuit onto it – wouldnt it? It allows you to run your effect at +18V instead of the standard +9V or you can use it to generate a negative supply for your favourite Fuzz. It is available here! 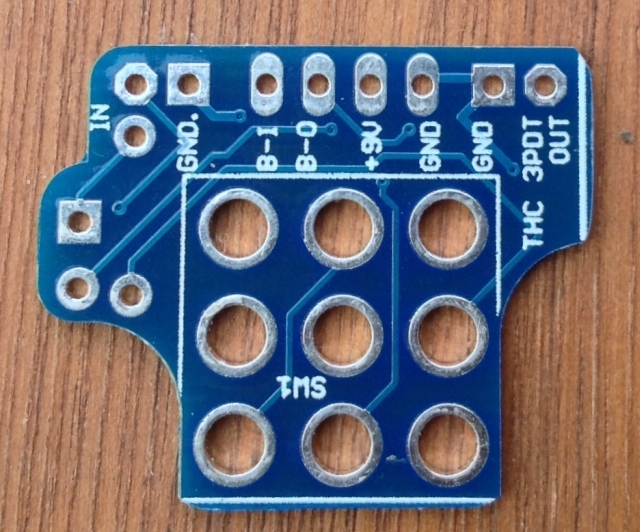 This PCB allows to mix the clean signal with the returning effect signal. This can be used for a lot of applications, especially when you have effects that are made for bass. It is available from Jubal81 here! Its a simple silicon Fuzz with great sound. Rej from GrindCustomFX can supply these. Join the crowd! We will NOT spam you. Shipping cost are based on weight. Lowest rate is EUR 3,50 (USD 4,00) going up with weight. Shipping to EU countries takes 2-5 days, shipping to the US, Canada and other overseas locations currently takes around 1-2 weeks. Shipping via international letter is without tracking and at your own risk! If you want to trace it you can add the "registered mail" option to your cart ! All content on this website is copyrighted. (c) 2016 TH custom effects. Use of pictures, articles and other content without the written permission of TH custom effects is strictly forbidden!